Research partnerships and training for professional development are important parts of the Center’s work. We provide research opportunities for scientists at Center headquarters in Taiwan and at regional offices in Asia and Africa. Training opportunities for extension workers and farmers are provided mainly through our regional, sub-regional and liaison offices. signed letter of sponsorship (self or scholarship): Download the sponsorship form. Please note: only fully documented applications will be considered. TAIWAN UNDERGRADUATES — APPLY NOW! 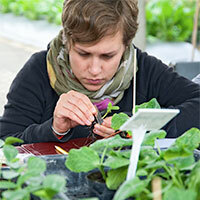 The World Vegetable Center provides opportunities for new scientists such as Master’s or PhD students and trainees such as undergraduates to either complete their theses or gain experience by participating in one of the Center’s ongoing research programs. Most come for 3 to 6 months and their expenses are paid by their employers, donors or themselves. While doing their research work they obtain practical skills to develop their scientific careers. These have included screening vegetable varieties for diseases, using molecular tools in breeding, developing natural pest control methods, analyzing nutritional properties of vegetables, vegetable value chain analysis, gender in vegetable value chains, adoption of vegetable technologies, etc. 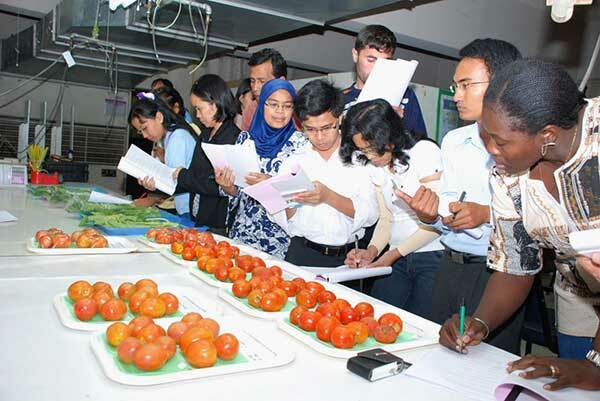 The Center does not grant degrees, but collaborates with universities in many countries to make its facilities and expertise available to scholars interested in tropical vegetable research. Please fill out the online application form to pursue training at the World Vegetable Center. The Center’s Training Coordinator will endeavor to match your interests with the appropriate Center scientist to negotiate a suitable training program. 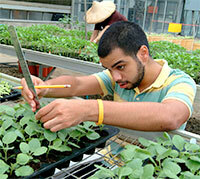 Research fellowships are full-time apprenticeship programs for employees of national agricultural research systems. Applicants must have a Master’s or Bachelor’s degree as well as several years of experience. 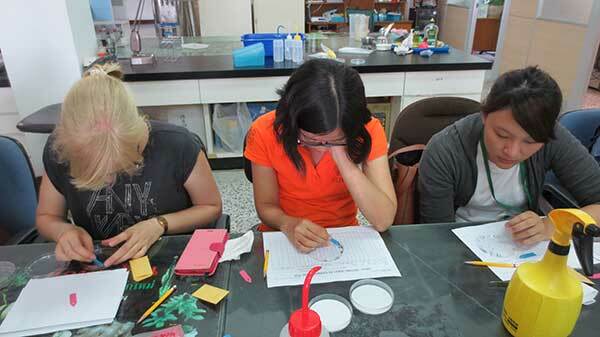 Research is conducted under the supervision of a Center scientist. Fellowships are usually for one year with a possible extension for another year. Preference is given to self-funded candidates from developing countries, or those who can be funded through existing Center projects. Graduate students are those seeking to do their MSc or PhD thesis work at the Center and who are proficient in English, are enrolled at a university, and have completed their coursework. A candidate must be endorsed by their employer and/or university adviser. The Center scientist who agrees to guide the student’s research must be accepted by the university as a member of the student’s thesis advisory committee. Provided funds are available and all parties agree, the thesis research can be conducted at Center headquarters or in our regional offices. Undergraduate students are 1) those who have completed major courses and are working towards their senior research project or equivalent or 2) students who are interested in participating in the Center’s research projects during their summer break on a topic within a supervising scientist’s research project that may contribute towards a thesis. Duration of an undergraduate student’s research will vary according to the funding sources and availability of scientists to supervise students. However, the minimum duration of undergraduate students training is two months. Full-time researchers who have a university degree and are interested in conducting research under the supervision of a Center scientist(s) on topics of mutual interest to the Center, the trainee, and the trainees’ employer. Internships typically last for a period of 3 months, but can be extended to 6 months. We will give your application careful consideration and respond promptly. The World Vegetable Center aims to improve nutrition and reduce poverty in developing countries through vegetable research and development. 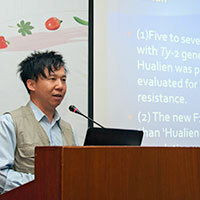 Major research programs are conducted at Center headquarters in Shanhua, Taiwan. To enhance its outreach efforts, the Center has established regional centers in Tanzania, Mali, India and Thailand, as well as several global research networks. The Center offers many opportunities for scientists to participate in its research and development (R&D) programs. 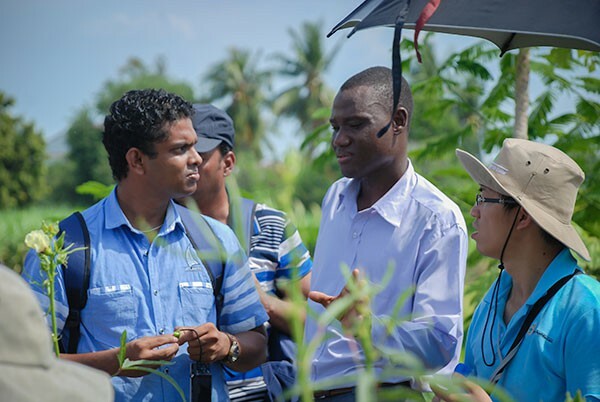 Through these opportunities the Center is developing a team of well-trained, highly motivated scientists engaged in vegetable research, extension, policy formulation, and production. These training opportunities also provide the Center with a means of strengthening its R&D capacity in critical areas. Postdoctoral Fellowships are awarded to new Ph.D. holders who are actively pursuing research on vegetables or related disciplines. Depending on the research project needs, the Center will recruit Postdoctoral Fellows through an open recruitment process. Compensation and benefits will be determined based on the Center’s policies. 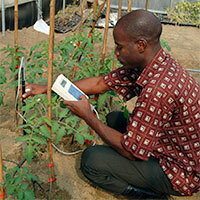 Visiting Scientists are generally research scientists and university faculty who, on the basis of expertise and experience in research on vegetables (minimum of two to five years of experience since earning a Ph.D.), are accepted by the Center to strengthen collaboration between itself and a national agricultural research system (NARS) partner. Financial support for a visiting scientist is arranged by himself or herself, often with the assistance of his or her organization. Visiting Scientists can conduct research at the Center’s headquarters, one of our regional offices, or through bilateral programs. Terms are for six months to one year. Sabbatical Scientists are experienced scientists who collaborate with a World Vegetable Center scientist on a specific R&D topic. The sabbatical scientist, the sabbatical scientist’s employer, or a fund-granting organization must assume travel, salary and all other financial expenses. The Center provides an office and access to research facilities (labs, greenhouses and fields) at headquarters or at one of its regional offices or bilateral programs. Terms are for six months to one year. Applicants from NARS research or educational institutions engaged in vegetable R&D who have on-going collaborative projects with the Center. Same as (1), but with applicants from institutions that do not have collaborative projects with the Center. Applicants who possess expertise that complements that available at the Center, but which is critical to successfully implement R&D on a new front.